April 20, 2013 – RCP: Ryan Rush defeated Tommy Maclin. June 1, 2013 – RCP: Biggie Biggs, Fallah, Sean Royal and Tommy Maclin defeated JR Ryder, Nicholas Sohlo, Ryan Rush and Zac Conner. July 13, 2013 – RCP: Tommy Maclin defeated Mike Reed. September 14, 2013 – RCP: Chris Steeler defeated Bazooka Joe, Mike Reed and Tommy Maclin in a 4-way match to become #1 contender in for the heavyweight title. July 3, 2014 – NXT: CJ Parker defeated Steve Cutler (Debut). July 31, 2014 – NXT: The Ascension defeated Steve Cutler and Mac Miles in a non-title match. August 7, 2014 – NXT Live Event: Baron Corbin defeated Steve Cutler. August 9, 2014 – NXT Live Event: Baron Corbin defeated Steve Cutler. August 21, 2014 – NXT Live Event: Baron Corbin defeated Steve Cutler. August 21, 2014 – NXT: Mojo Rawley defeated Steve Cutler. August 23, 2014 – NXT Live Event: Steve Cutler defeated Sawyer Fulton. October 2-4, 2014 – NXT Live Event: Baron Corbin defeated Steve Cutler. October 24, 2014 – NXT Live Event: Tye Dillinger defeated Steve Cutler. November 20, 2014 – NXT: Bull Dempsey defeated Steve Cutler. November 21, 2014 – NXT Live Event: Marcus Louis defeated Steve Cutler. December 11, 2014 – NXT TakeOver R Evolution: Bull Dempsey defeated Steve Cutler in a dark match. February 18, 2015 – NXT Live Event: Baron Corbin defeated Steve Cutler. March 13, 2015 – NXT Live Event: Baron Corbin defeated Steve Cutler. March 14, 2015 – NXT Live Event: Mike Rawlis defeated Steve Cutler. April 3, 2015 – NXT Live Event: Elias Sampson defeated Steve Cutler. April 9, 2015 – NXT Live Event: Elias Sampson defeated Steve Cutler. April 11, 2015 – NXT Live Event: Steve Cutler defeated Chad Gable. April 30, 2015 – NXT Live Event: Elias Samson defeated Steve Cutler by disqualification. May 2, 2015 – NXT Live Event: Steve Cutler defeated Elias Samson by disqualification. May 7, 2015 – NXT Live Event: Braun Stowman defeated Steve Cutler. May 8, 2015 – NXT Live Event: Marcus Louis defeated Steve Cutler. May 9, 2015 – NXT Live Event: Elias Samson vs. Steve Cutler ended in a no contest. July 15, 2015 – NXT: Chad Gable and Jason Jordan defeated Steve Cutler and Elias Samson. July 23, 2015 – NXT Live Event: Mike Rawlis, Steve Cutler and The Vaudevillains defeated Dash Wilder, Scott Dawson, Blake and Murphy. July 31, 2015 – NXT Live Event: Uhaa Nation defeated Steve Cutler. August 28, 2015 – NXT Live Event: Steve Cutler defeated Riddick Moss. September 12, 2015 – NXT Live Event: Steve Cutler defeated Alexander Wolfe. September 24, 2015 – NXT Live Event: Steve Cutler defeated Elias Samson. October 14, 2015 – NXT: Steve Cutler was in the #1 contenders battle royal for the NXT title won by Apollo Crews. November 6, 2015 – NXT Live Event: The Vaudevillains (Aiden English and Simon Gotch) defeated Steve Cutler and Tino Sabbatelli. November 21, 2015 – NXT Live Event: Tino Sabbatelli defeated Steve Cutler. January 9, 2016 – NXT Live Event: Elias Samson defeated Steve Cutler. January 14, 2016 – NXT Live Event: Steve Cutler defeated Alex Riley. January 15, 2016 – NXT Live Event: Steve Cutler defeated Alexander Wolfe. January 16, 2016 – NXT Live Event: King Constantine defeated Steve Cutler. January 30, 2016 – NXT Live Event: Bull Dempsey, Kenneth Crawford and Rich Swann defeated Christopher Girard, Sawyer Fulton and Steve Cutler. February 5, 2016 – NXT Live Event: Manny Andrade defeated Steve Cutler. February 6, 2016 – NXT Live Event: Josh Woods defeated Steve Cutler. March 2, 2016 – NXT: Elias Samson defeated Steve Cutler. March 4, 2016 – NXT Live Event: Steve Cutler defeated Josh Woods. March 5, 2016 – NXT Live Event: Patrick Clark defeated Steve Cutler. March 10, 2016 – NXT Live Event: Apollo Crews defeated Steve Cutler. March 12, 2016 – NXT Live Event: Steve Cutler defeated Alex Riley. March 18, 2016 – NXT Live Event: Austin Aries defeated Steve Cutler. June 2, 2016 – NXT Live Event: Dan Matha defeated Steve Cutler. June 3, 2016 – NXT Live Event: Steve Cutler defeated Christopher Girard. June 23, 2016 – NXT Live Event: Steve Cutler defeated Kishan Raftar. June 30, 2016 – NXT Live Event: Andrade Almas defeated Steve Cutler. July 9, 2016 – NXT Live Event: Steve Cutler defeated Dan Matha. July 21, 2016 – NXT Live Event: Hugo Knox defeated Steve Cutler. July 29, 2016 – NXT Live Event: Rich Swann defeated Steve Cutler. August 5, 2016 – NXT Live Event: Steve Cutler defeated Chris Atkins. August 11, 2016 – NXT Live Event: Kenneth Crawford defeated Steve Cutler. August 27, 2016 – NXT Live Event: Rich Swann defeated Steve Cutler. August 31, 2016 – NXT: Steve Cutler defeated Kenneth Crawford. September 7, 2016 – NXT: NXT champion Shinsuke Nakamura defeated Steve Cutler in a non-title match. October 14, 2016 – NXT Live Event: Dallas Harper defeated Steve Cutler. October 12, 2016 – NXT Live Event: Cedric Alexander, Shinsuke Nakamura and Tye Dillinger defeated Samoa Joe, Steve Cutler and Wesley Blake. October 21, 2016 – NXT Live Event: Adrian Jaoude defeated Steve Cutler. October 22, 2016 – NXT Live Event: Noah Potjes defeated Steve Cutler. October 29, 2016 – NXT Live Event: Dallas Harper vs. Steve Cutler ended in a no contest. November 4, 2016 – NXT Live Event: Tian Bing defeated Steve Cutler. November 5, 2016 – NXT Live Event: Roderick Strong defeated Steve Cutler. November 12, 2016 – NXT Live Event: Noam Dar defeated Steve Cutler. December 8, 2016 – NXT Live Event: Jack Gallagher defeated Steve Cutler. December 9, 2016 – NXT Live Event: Steve Cutler defeated Adrian Jaoude. December 10, 2016 – NXT Live Event: TJ Perkins defeated Steve Cutler. December 15, 2016 – NXT Live Event: Jack Gallagher defeated Steve Cutler. December 17, 2016 – NXT Live Event: Adrian Jaoude defeated Steve Cutler. January 6, 2017 – NXT Live Event: Steve Cutler defeated Cezar Bononi. January 12, 2017 – NXT Live Event: Steve Cutler defeated Adrian Jaoude. January 13, 2017 – NXT Live Event: Cedric Alexander defeated Steve Cutler. January 18, 2017 – NXT: Roderick Strong defeated Steve Cutler. January 19, 2017 – NXT Live Event: Steve Cutler defeated Adrian Jaoude. January 20, 2017 – NXT Live Event: Steve Cutler defeated Cezar Bononi. February 3, 2017 – NXT Live Event: Steve Cutler defeated Adrian Jaoude. February 4, 2017 – NXT Live Event: Steve Cutler defeated Brennan Williams. February 9, 2017 – NXT Live Event: Oney Lorcan defeated Steve Cutler. February 10, 2017 – NXT Live Event: Aleister Black defeated Steve Cutler. February 11, 2017 – NXT Live Event: Steve Cutler defeated Oney Lorcan. March 3, 2017 – NXT Live Event: Buddy Murphy defeated Steve Cutler. March 11, 2017 – NXT Live Event: No Way Jose defeated Steve Cutler. April 20, 28, 2017 – NXT Live Event: Heavy Machinery (Otis Dozovic and Tucker Knight) defeated Steve Cutler and Wesley Blake. April 29, 2017 – NXT Live Event: Buddy Murphy and Jeet Rama defeated Steve Cutler and Wesley Blake. May 5, 2017 – NXT Live Event: Buddy Murphy defeated Steve Cutler. May 6, 2017 – NXT Live Event: Tian Bing defeated Steve Cutler. May 13, 2017 – NXT Live Event: Oney Lorcan defeated Steve Cutler. May 31, 2017 – NXT: Tyler Bate defeated Steve Cutler in a dark match. June 24, 2017 – NXT Live Event: Steve Cutler and Wesley Blake defeated Danny Burch and Oney Lorcan. June 29, 2017 – NXT Live Event: Drew McIntyre defeated Steve Cutler. July 14, 2017 – NXT Live Event: Steve Cutler and Wesley Blake defeated Fabian Aichner and Raul Mendoza. July 22, 2017 – NXT Live Event: Aleister Black and Drew McIntyre defeated Steve Cutler and Wesley Blake. July 28, 2017 – NXT Live Event: Street Profits (Angelo Dawkins and Montez Ford) defeated Steve Cutler and Wesley Blake. August 5, 2017 – NXT Live Event: Danny Burch and Oney Lorcan defeated Steve Cutler and Wesley Blake. August 12, 25, 2017 – NXT Live Event: Street Profits (Angelo Dawkins and Montez Ford) defeated Steve Cutler and Wesley Blake. August 26, 2017 – NXT Live Event: SAnitY (Alexander Wolfe and Killian Dain) defeated Steve Cutler and Wesley Blake. September 28, 2017 – NXT Live Event: Danny Burch and Oney Lorcan defeated Steve Cutler and Wesley Blake. October 13-14, 2017 – NXT Live Event: Street Profits (Angelo Dawkins and Montez Ford) defeated Steve Cutler and Wesley Blake. November 9, 2017 – NXT Live Event: Street Profits (Angelo Dawkins and Montez Ford) defeated Steve Cutler and Wesley Blake. November 30, 2017 – NXT Live Event: Steve Cutler was in the battle royal won by Trent Seven. December 1, 2017 – NXT Live Event: Trent Seven and Tyler Bate defeated Steve Cutler and Wesley Blake. January 11, 2018 – NXT Live Event: Street Profits (Angelo Dawkins and Montez Ford) defeated Heavy Machinery (Otis Dozovic and Tucker Knight), Riddick Moss and Tino Sabbatelli & Steve Cutler and Wesley Blake in a 4-way #1 contenders tag team match for the tag titles. February 10, 2018 – NXT Live Event: The Forgotten Sons (Steve Cutler and Wesley Blake) defeated Jeet Rama and Kassius Ohno. February 16, 2018 – NXT Live Event: The Forgotten Sons (Steve Cutler and Wesley Blake) defeated Heavy Machinery (Otis Dozovic and Tucker Knight), Street Profits (Angelo Dawkins and Montez Ford) & The Authors Of Pain (Akam and Rezar) in a 4-way tag team match to become #1 contenders for the tag titles. February 21, 2018 – NXT: The Forgotten Sons (Steve Cutler and Wesley Blake) defeated ??? and Elijah Evans IV in a dark match. February 22, 2018 – NXT Live Event: Heavy Machinery (Otis Dozovic and Tucker Knight) defeated The Forgotten Sons (Steve Cutler and Wesley Blake). February 23, 2018 – NXT Live Event: The Undisputed ERA (Bobby Fish and Kyle O’Reilly) defeated The Forgotten Sons (Steve Cutler and Wesley Blake) to retain the tag titles. March 15, 2018 – NXT Live Event: Buddy Murphy and Ricochet defeated The Forgotten Sons (Steve Cutler and Wesley Blake). April 26, 2018 – NXT Live Event: Big Boa, Mars Wang and Rocky defeated Chad Lail, Steve Cutler and Wesley Blake. May 4, 2018 – NXT Live Event: Danny Burch and Oney Lorcan defeated The Forgotten Sons (Steve Cutler and Wesley Blake). May 5, 2018 – NXT Live Event: The Forgotten Sons (Steve Cutler and Wesley Blake) defeated Brennan Williams and Christopher Dijak. May 17, 19, 2018 – NXT Live Event: Street Profits (Angelo Dawkins and Montez Ford) defeated The Forgotten Sons (Steve Cutler and Wesley Blake). May 26, 2018 – NXT Live Event: Chad Lail, Steve Cutler and Wesley Blake defeated Mars Wang & Street Profits (Angelo Dawkins and Montez Ford). June 2, 2018 – NXT Live Event: Steve Cutler was in the #1 contenders battle royal for the North American title won by Tucker Knight. June 8, 2018 – NXT Live Event: Heavy Machinery (Otis Dozovic and Tucker Knight) defeated The Forgotten Sons (Steve Cutler and Wesley Blake). June 10, 2018 – NXT Live Event: Ashton Smith and Dave Mastiff defeated The Forgotten Sons (Steve Cutler and Wesley Blake) by disqualification. June 11, 2018 – NXT Live Event: Heavy Machinery (Otis Dozovic and Tucker Knight) defeated The Forgotten Sons (Steve Cutler and Wesley Blake). June 12, 2018 – NXT Live Event: Wolfgang defeated Steve Cutler. June 29, 2018 – NXT Live Event: Aleister Black defeated Steve Cutler to retain the NXT title. July 14, 2018 – NXT Live Event: War Raiders (Hanson and Rowe) defeated The Forgotten Sons (Steve Cutler and Wesley Blake). July 20, 2018 – NXT Live Event: Dominik Dijakovic, Johnny Gargano and Raul Mendoza defeated Jaxson Ryker & The Forgotten Sons (Steve Cutler and Wesley Blake). July 26, 2018 – NXT Live Event: War Raiders (Hanson and Rowe) defeated Jaxson Ryker and Steve Cutler. July 27, 2018 – NXT Live Event: War Raiders (Hanson and Rowe) defeated The Forgotten Sons (Steve Cutler and Wesley Blake). August 2, 2018 – NXT Live Event: The Forgotten Sons (Steve Cutler and Wesley Blake) defeated Eddie Dennis and Zack Gibson. August 10, 2018 – NXT Live Event: The Forgotten Sons (Steve Cutler and Wesley Blake) defeated Adrian Jaoude and Cezar Bononi. September 5, 2018 – NXT: The Forgotten Sons (Steve Cutler and Wesley Blake) w Jaxson Ryker defeated Street Profits (Angelo Dawkins and Montez Ford). October 3, 2018 – NXT: The Forgotten Sons (Jaxson Ryker, Steve Cutler and Wesley Blake) defeated Cezar Rise, Terry Kirsh and Vinny Mixon. October 20, 2018 – NXT Live Event: The Forgotten Sons (Steve Cutler and Wesley Blake) defeated Adrian Jaoude and Cezar Bononi, Danny Burch and Oney Lorcan & Heavy Machinery (Otis Dozovic and Tucker Knight) in a 4-way tag team elimination match to become #1 contenders for the tag team titles. November 7, 2018 – NXT: Heavy Machinery (Otis Dozovic and Tucker Knight) defeated The Forgotten Sons (Steve Cutler and Wesley Blake). November 8, 2018 – NXT Live Event: Aleister Black & War Raiders (Hanson and Rowe) defeated The Forgotten Sons (Jaxson Ryker, Steve Cutler and Wesley Blake). November 28, 2018 – NXT Live Event: The Forgotten Sons (Jaxson Ryker, Steve Cutler and Wesley Blake) defeated Matt Riddle, Punishment Martinez and Stacey Ervin Jr..
December 6, 2018 – NXT Live Event: Babatunde Aiyegbusi & War Raiders (Hanson and Rowe) defeated The Forgotten Sons (Jaxson Ryker, Steve Cutler and Wesley Blake). 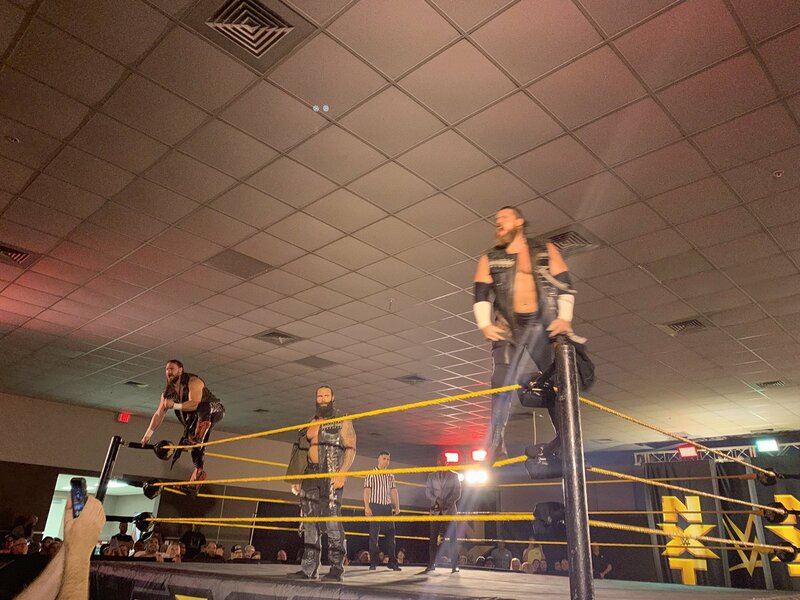 January 30, 2019 – NXT Live Event: The Forgotten Sons (Steve Cutler and Wesley Blake) w Jaxson Ryker defeated Street Profits (Angelo Dawkins and Montez Ford). February 6, 2019 – NXT: Jaxson Ryker w The Forgotten Sons defeated Mansoor. February 7, 9, 2019 – NXT Live Event: Danny Burch, Matt Riddle and Oney Lorcan defeated The Forgotten Sons (Jaxson Ryker, Steve Cutler and Wesley Blake). February 8, 10, 2019 – NXT Live Event: War Raiders (Hanson and Rowe) defeated The Forgotten Sons (Steve Cutler and Wesley Blake) to retain the tag team titles. February 16, 2019 – NXT Live Event: War Raiders (Hanson & Rowe) and Aleister Black defeated The Forgotten Sons (Jaxson Ryker, Steve Cutler and Wesley Blake). February 21, 2019 – NXT Live Event: Keith Lee defeated Jaxson Ryker w The Forgotten Sons by disqualification. February 22, 2019 – NXT Live Event: The Forgotten Sons (Jaxson Ryker and Steve Cutler) defeated The Street Profits (Angelo Dawkins and Montez Ford). February 28, 2019 – NXT Live Event: Aleister Black and Ricochet defeated The Forgotten Sons (Jaxson Ryker and Steve Cutler). March 1, 2019 – NXT Live Event: War Raiders (Hanson and Rowe) defeated Forgotten Sons (Jaxson Ryker and Steve Cutler) to retain the tag team titles. March 3, 2019 – NXT Live Event: Aleister Black and Ricochet defeated The Forgotten Sons (Jaxson Ryker and Steve Cutler). March 6, 2019 – NXT: The Forgotten Sons (Steve Cutler and Wesley Blake) w Jaxson Ryker defeated Danny Burch and Oney Lorcan in the 1st round. 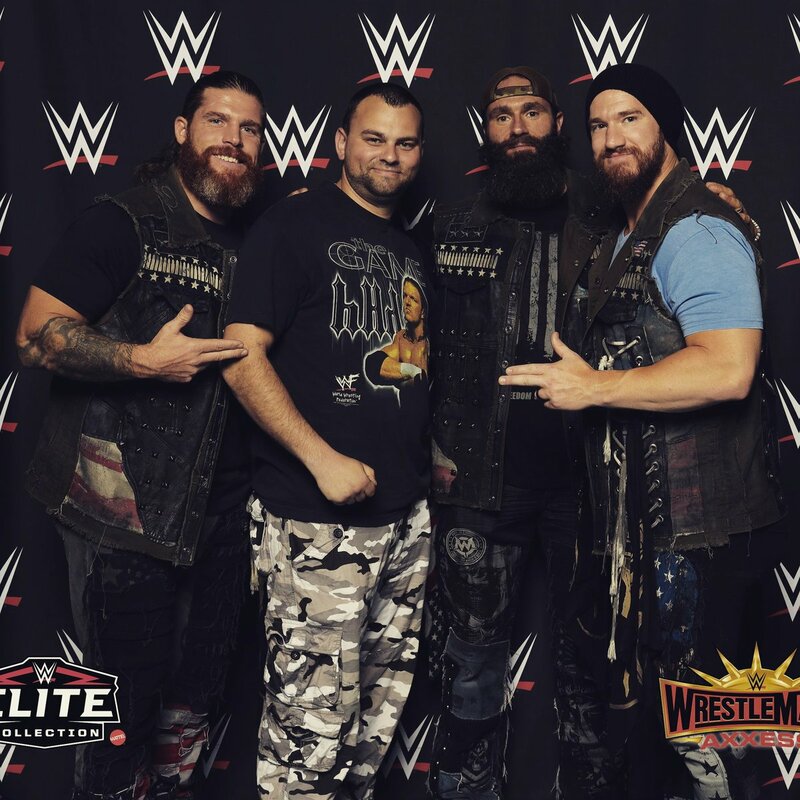 March 7, 2019 – NXT Live Event: The Forgotten Sons (Steve Cutler and Wesley Blake) defeated Brennan Williams and Stacey Ervin Jr..
March 9, 2019 – NXT Live Event: The Forgotten Sons (Steve Cutler and Wesley Blake) defeated Danny Burch and Oney Lorcan. March 13, 2019 – NXT: The Forgotten Sons (Steve Cutler and Wesley Blake) w Jaxson Ryker defeated Moustache Mountain (Trent Seven and Tyler Bate) in the semi-finals. March 21, 2019 – NXT Live Event: The Forgotten Sons (Steve Cutler and Wesley Blake) defeated The Street Profits (Angelo Dawkins and Montez Ford). 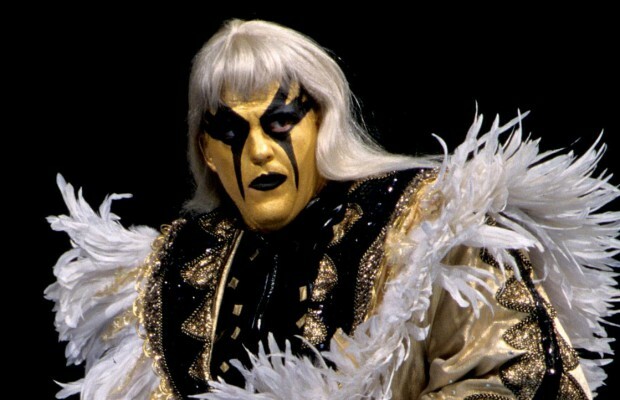 March 27, 2019 – NXT: Aleister Black and Ricochet defeated The Forgotten Sons (Steve Cutler and Wesley Blake) w Jaxson Ryker to win the 2019 Dusty Rhodes tag team classic. @TheWWEBlake @WWENXT @JaxsonRykerWWE @SteveCutlerWWE @wornstar Triple H: good news guys ur getting moved up to main roster!! Forgotton sons: Wow thankyou for this opportunity H we won’t let u down. Forgotton sons: wow can’t wait for tonight! Vince: welcome to raw guys ur new tag team name is “The Biking Experience” good luck!